Help is at hand if you need a Honda hybrid battery from a respected source. At Bumblebee Batteries, we premium quality, reliable replacement IMA hybrid battery packs for your Honda hybrid car. We offer what we believe is the best replacement hybrid battery for Honda Civic Hybrid, Honda Insight or Honda Accord Hybrid vehicles. Get in touch with us at any point if you need or think you may need to replace your IMA hybrid battery. We are always happy to provide advice on any relevant topics. Our batteries offer advanced NiMH technology. Our BeeMax™ hybrid replacement battery is designed to enhance the performance of your vehicle. Features of the BeeMax™ include 25% more surface area, which results in higher capacity and power output. Our battery assembly can be wound tighter, which means more plate material can be fit into the D-cell battery case. There are around 50% more weld points between the plates and collectors due to the way that the positive and negative collectors have been redesigned, with the negative collectors being welded to the battery case. The result of all this is being able to enjoy the lowest internal resistance and highest capacity of any IMA battery cell you’ll currently find on the market. At Bumblebee Batteries, we have worked hard to address the problems owners of Honda hybrid cars face such as low battery capacity or strange behavior. 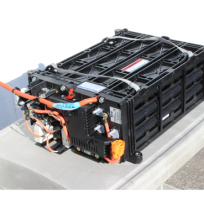 Our team has in-depth working knowledge of hybrid battery technology and are also hybrid car owners. We aim to bring you the peace of mind you require as well as lasting value. You are always welcome to get in touch with us at any point if you have questions after you’ve purchased your battery. There are many advantages to owning a hybrid battery. These include not only saving money on fuel but also reducing impact on the environment by burning less petroleum and helping the car industry to evolve in a more eco-friendly direction. We are constantly looking for new ways to utilize the latest NiMH cell technology advancements, optimizing our testing and analysis methods and making sure that each cell of each battery we sell meets our high standards for reliability and performance. Why not look around www.bumblebeebatteries.com right now if you are looking for a Honda hybrid battery for your hybrid?